A company's top leadership generally monitors bad debt levels in corporate financial statements to ensure that operating expenses and losses do not exceed budgeted amounts. Bad debt, or the total of noncollectable customer receivable amounts, is an operating expense. A corporate accounting manager records bad debt expense at fair (market) value. 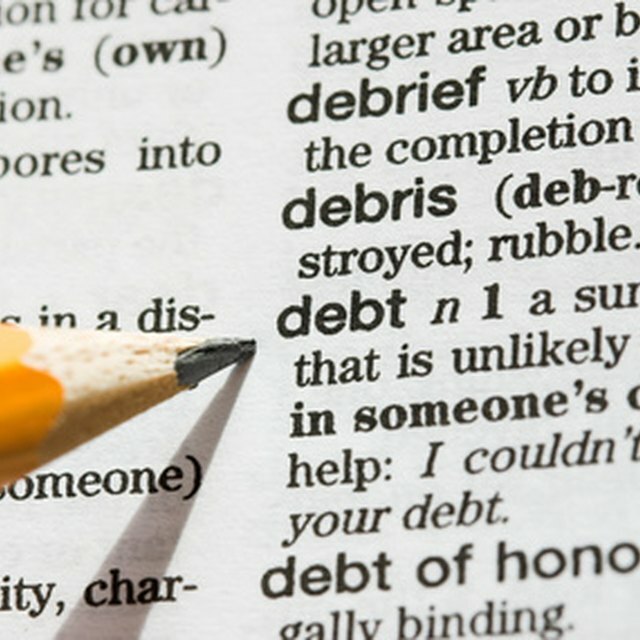 Bad debt indicates amounts that a corporation's customers cannot pay because of bankruptcy or temporary financial problems. U.S. generally accepted accounting principles, or GAAP, and international financial reporting standards, or IFRS, require a company to disclose bad debt amounts in financial statements. The Securities and Exchange Commission, or SEC, and the Public Company Accounting Oversight Board, or PCAOB, also require a corporation to indicate noncollectable amounts if they are significant compared to the company's accounts receivable amounts. Credit risk is the loss expectation arising from the inability of a business partner (also called counterparty) to honor a financial commitment when it is due or repay a loan on time. Credit risk and bad debt are interrelated concepts because less creditworthy customers are generally more prone to default on invoices or loans. Senior corporate leaders usually establish adequate and functional controls in credit risk management systems to prevent significant operating losses due to counterparty defaults. Provision for doubtful, or bad, debts is a credit risk management practice that helps a company to evaluate accounts receivable and to estimate the percentage of bad debt. This process is critical because bad debt is an expense, and as such, it reduces a company's profits. Provision for bad debts, otherwise known as allowance for doubtful accounts, also affects a company's full set of financial statements such as balance sheet, income statement, cash flow statement and equity statement. Department heads in credit risk and sales business units often bring in a specialist to review credit management procedures and provide recommendations for improvement. For instance, a segment manager can hire a certified public accountant, or CPA, to review internal controls and advise on how the firm can improve them. The CPA can apply generally accepted auditing standards, or GAAS, to evaluate whether such controls are adequate and recommend corrective measures. U.S. GAAP and IFRS as well as PCAOB and SEC rules require a firm to record bad debts and the provision for bad debt at the end of a period such as a month or quarter. To illustrate, a risk manager at a credit card company believes the firm must record $10 million in noncollectable items because customers are filing for bankruptcy or experiencing financial distress. A corporate bookkeeper debits the bad debt expense account for $10 million and credits the allowance for doubtful items account for the same amount.